Some initial work on the content of the Kenkanryu material and some early observations about things to consider when moving the project forward. An exert from a summary paper submitted to the Erlangen workshop. Towards understanding how Kenkanryu manga builds individuals into cultural narratives. The process through which we, as individuals, integrate particular cultural narratives into our self-image and collective identity is a complex one. It is a vital process to understand, however, not only when it forms identities in response to human conflict—in the life stories of those involved in World Wars, say—but, perhaps even more importantly, when it threatens to lead individuals towards identities which in turn cause human conflict. In this brief summary paper I am concerned with gesturing to the ways in which certain cultural narratives trigger in individuals senses of legitimacy and immediacy, propelling them towards collective identities which activity set out to establish superiority over other peoples, nations, or races, essentializing and demonising these others in the process. In so doing, I am concerned with understanding how sectarian cultural narratives operate as catalysts for individuals to reinvent and recalibrate their relationship towards, and interpretation of, their social milieu and their place, or role, or function within it. The cultural narrative presented here is portrayed and developed in a popular manga (Japanese comic) series entitled kenkanryu , or, “The Anti-Korean-Boom”. The individuals I wish to briefly present are a certain sector of the Japanese readership of this manga, individuals who have given a series of responses to the material which suggests a strong personal alignment and adoption of the narratives which the comic contains. 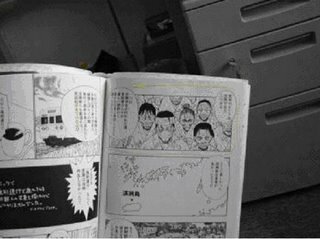 Before turning to these readers’ responses to the material, I will first briefly describe the manga’s presentation of cultural narrative, moving on to look at the reader’s reactions and the techniques and methods that the manga can thus be seen to employ to attract these readers into its own set of sub-plots and characters. 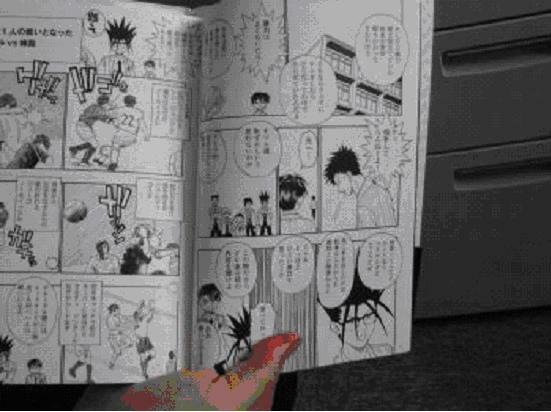 The manga’s opening chapter, entitled “The Underside of the Japan/Korea World Cup”, is carefully crafted in order to allow the general reader immediate access to a series of patterned debates which continue throughout the book. The first scene introduces us to the fair-minded main character, Kaname. Kaname is in his last year of high school and is shown to be a nice accommodating individual both in his sportsmanship and treatment of friends, girlfriend (the beautiful Izumi), and relatives. The first pages of the comic also introduce Kaname’s classmate Koichi. When Koichi invites Kaname and others back to his house that evening to “watch and support Korea as they have made it to the Best Four!”, Kaname does not, (like some of his friends), act standoffishly, but takes the offer at face value and with thanks, saying “see you at your house tonight!” to his fellow classmate as Koichi leaves the room. When Kaname innocently wonders out loud why Koichi is so keen to support Korea, another classmate declares, with an accompanying dramatic cinematic pane, that it’s “Because he’s a Japanese-Korean!”. As the story progresses, the author is keen to bring in a series of characterizations of how Japanese-Koreans, or zainichi, approach various political, social and personal issues. 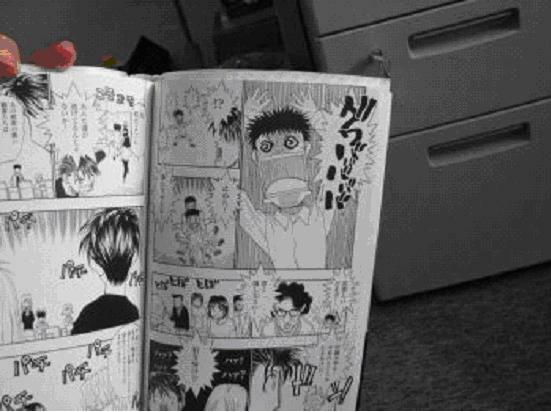 The graphical portrayal of these zainichi within the comic becomes increasingly demonic as we see our main character move from high school encounters to “serious” university debates involving these “others”. Throughout the book the difference in physical characteristics between the “Japanese” and “zainichi” are pronounced, with the former presented as heroic, “white-skinned”, and good-looking, and the latter as contorted, physically unbalanced, frequently shaded and consistently demonic in expression. Essentially, over the ten chapters that the book contains, we the readers are given an entirely alternative view of Japanese–Korean relations to that commonly portrayed in the Japanese media and/or education systems. Indeed, the cultural-historical stance of the Japanese media and education ministry is presented as a national conspiracy in on behalf of weak minded liberals. Such conspiratorial themes aid in creating a sense of membership an alternative, highly “informed”, and secret, club which the reader is gradually, throughout the work, encouraged to participate and fully subscribe to. Moving on to looking at the particular comments from readers, it is clear that this conspiratorial theme is highly effective in bringing people onboard the presented cultural historical narrative. In addition to the many comments such as this which essentially espouse an almost religious sense of enlightenment or discovery, readers also found that the manga gave them a learning experience. The sense of being “brought to the light” through a series of learned examples and “the systematic unraveling of the truth” helped to provide many of the readers with a sense that this cultural narrative is “highly appropriate” and timely. In this way, the reader is encouraged to enter a state of precious and meaningful shared knowledge, and thus an impression of a deep sense of personal connectivity to the narrative is forged. Overall, responses such as these illustrate that the manga offers a very well thought out and sophisticated mix of incentives to find a sense of Japanese belonging and pride from the storytelling. Limitations do, however, exist for readers who are sophisticated enough to see the principle formula of “othering” and reject the book. Preliminary research with a small random sample selection of university-educated informants suggests, for instance, that while the initial World Cup chapter is convincing, subsequent chapters soon turn these readers off the material. While a small sample of well-educated subjects were turned off the material by subsequent chapters, responses from readers who were convinced by the presentation seem to suggest that the strategy of overlapping “facts” (the state of play in the 2002 World Cup, for example) with historical interpretations and ‘story-telling’ of the later chapters, served to cement the relevance and timeliness of the story and the individual’s attachment to it. In addition to this strategy of blending fact and story-telling, the zainichi and Japanese characters of the story are depicted as having very different modes of communication. These forms are deliberately polarized to emphasize a Japanese approach to communication as morally/intellectually superior. The same is true of the learning strategies which the Japanese, vs. the zainichi, engage. The zainichi are clearly only able to hold onto one position in debate, and are portrayed as completely static, indeed quite unable to take on new information, while the Japanese characters are busy absorbing a wide range of information from a wide variety of sources (living people, the internet etc.) and approaching the topics ‘objectivity’. In line with this, the levels of emotional maturity are ascribed to Japanese and Koreans in “appropriate” doses, Japanese, high, Koreans, low. Rather frighteningly, the result of this heady and focused package of strategies on the readers whose responses clearly illustrated they were convinced by the cultural narrative, was to imbue a sense of highly personal, rewarding, renewal. The vast majority of responses repeated use of the word sikari, a word inferring “refreshment” or “renewal”. Suggesting not only that a key core narrative had been bolstered and strengthened in an important way, but that the individual has found a new way with which to locate themselves in streams of narrative and collective understanding, these responses illustrate the power of the cultural narrative in empowering the individual. The readers’ responses suggest that they have found a new purpose, a new significance, to their existence. This paper has only intended to briefly outline the research subject, materials and some initial guiding conclusions which will lead the project to the next phase, which is to interview these readers in depth and attempt to build alternative narratives to dilute the influence of kenkanryu. [i] It can be said at this juncture, however, that certain observations are important to note in progressing to the next phase. Firstly, we tend to think of narratives that promote racism, nationalism or sectarianism as orientated toward a particular group of people—the Neo-Nazis, the Fascist political right wing, the underclass etc.. What these reader responses clearly demonstrate, however, is that there are highly individual needs at work in the incorporation of this cultural-historical narrative into the personal mind-set and self-image of the reader. The need for detailed individual case studies focusing on how people incorporate these kinds of cultural narratives, how they make them “their-own”, are vital in understanding how we can begin to build competing, alternative, narratives which diminish their influence. In this way, the counter-measures, or more precisely, the kind of alternative narratives that need be put into circulation in order to dilute the influence of these potentially conflict-causing cultural interpretations, must provide the audience with the same, or even more well-formulated, cultural and historical resources with which these people can find appropriate avenues to represent themselves in the world. Alternative narratives must also contain the same “attractive” sub-plots (of conspiracy, for example) or at least narrative manoeuvres which excite and attract in the same fashion. They must do all this while channelling the individual and collective identity away from potentially damaging sectarianism and towards a sense of stakeholdership which comes from the acknowledgment of common threads of human diversity. [i] See oicd.net for updates on this project. [ii] Strategies and approaches built from anthropological approaches will be under discussion annually at the OICD general meetings to be held in Kyoto (October) through 2010. See http://www.oicd.net for details.